Register early to get discounts! Be aware that day of registration will go up in price. 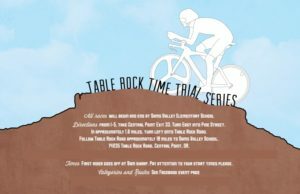 The 2018 Table Rock Time Trial Series will begin on March 17th. The 2nd race of the series will be March 24th and the 3rd race of the series will be March 31st. Link to Google map for driving directions to the start. Each of these races will start at 9:00 am with riders going off every minute. Riders will need to be at the start waiting for their start time 5 minutes before their actual start time. Start times will be assigned race morning so make sure and check in. We will be doing a team TT after all single riders have started. If you’re riding for a team you need to make sure they know at the registration table so they can slot you in one of the earlier time slots. Team TT will be an extra $20.00 per team, available day of registration only. Each of the races will get progressively longer and to be included in the series racers will need to get times in all three races. There should be plenty of parking available at Sams Valley Elementary. There are bathrooms available in the school on race day. This is an OBRA event so OBRA rules apply. 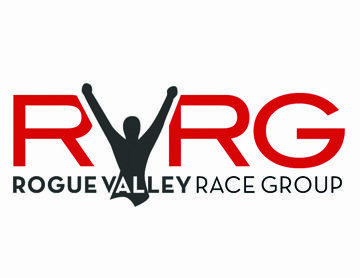 The third race on March 31st will be part of the Oregon TT Cup. See schedule below. Updates coming soon for 2018 Oregon TT Cup. This will be an RFID chip timed event so riders will need to make sure and get their RFID bracelets and to put them on their right wrist or right ankle facing out or on their right handle bar. Please make sure to return bracelets after the race. Results will be available on an ipad after all riders have completed the course. Then they will be posted online shortly after the race. To be a volunteer please contact us. Email us for questions and pricing.